This is the greatest freaking blog ever! Thank you so much! I'm an animator and I will be coming to this blog daily!! Thank you! 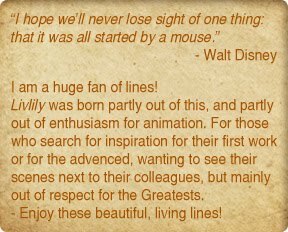 This is a great source of inspiration to all who loves animation. I'm very pleased to receive these words, may it be a student or an Annie Award nominee animator. :) Thanks again! Thank you so much sharing these. It's wonderful gift. Thank you soo much!! Please keep up the awesomeness! This blog is really helpful to everyone. 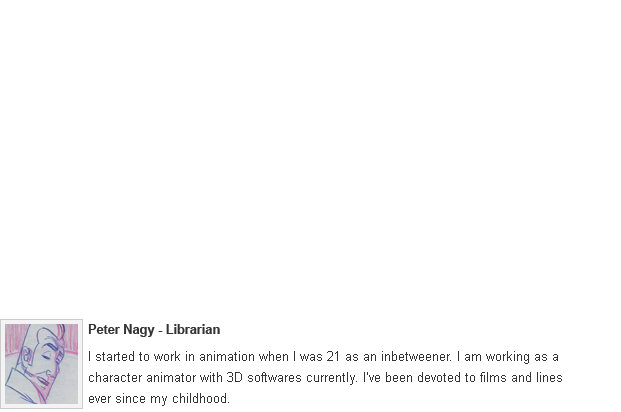 I am an animator and i visit this blog everyday....thank you!! anyway great blog, thanks a lot ! Wonderful ! 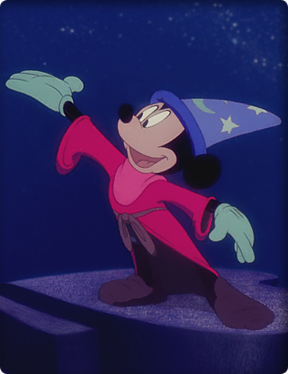 I hope your blog won't be deleted like The art of Disney animation...! muchas gracias, hece mucho tiempo que estaba buscando una pagina como esta!!! I was wondering if there might be a chance for you to throw down some "Horton Hears a Who" conceptual art. Seeing as there isn't a art book available for it. I'd love to see more of these designs. Especially color scripts by Dice Tsutsumi. Thanks and keep up the great work! Thank you for this very inspiring site! Excellent site! Some may dismiss my request, but I would really like to see some of Hanna-Barbera's artwork and model sheets presented here. Scooby-Doo, of course, but also some of their other classic shows like The Flintstones, The Jetsons, Yogi Bear, Huckleberry Hound, and some of the Scooby "clones" of the '70's like Josie and the Pussycats, Clue Club and Captain Caveman and the Teen Angels. This site is amazing. I'm planning to study ALL of this. I especially love the Miyazaki stuff. There's a lot I've never seen. I can't thank you enough for putting this all together. Thank for for all your hard work! My god, this blog is just AWESOME! thank you so much! This is superb! Thanks for sharing all these. The animator in me is jumping with joy and excitement right now! Thank you so much to have created this Blog!! This is going to help me in so many ways! Thank you!!!! Seems to be good like transylvania book . I LOVE THIS BLOG TO TRAIN ME TO DRAW ! I want to work as a conceptual designer in the future, and this blog is something that I've always been hoping to find! Thank you so much for setting this up. Thank you so much for taking the time to put together this amazing resource. I am an artist and I have recently been studying animation. I bookmarked this blog and I will be studying these resources extensively. Thank you so much! Great blog! Thank You for sharing it with us! Wow this blog is amazing. Thanks for the huge list. Who's that kid in one of the sheets in the background of this page? He's the first colored sheet as you scroll down, on the left of the Porco Rosso drawings. I don't recognize him, but I like the character design and want to know. I really saw your web site after checking an online site on Fixed Annuity. I actually love the livlily on your web site. Carry on! You actually made my day! I am an instructor and I direct my students here. :D Thank you SO much. This blog is wonderful, thank you so much! could you post Book of Life stuff? I love this blog, it's an amazing and worth place to come every day! Thanks for this awesome blog. I'm looking forward to some Wall-e sheets. All this concept art is fantastic. It’s so good to see how each character developed over time. Not sure if I've commented here before, but I really think this blog is awesome. I'm not sure the cause of the inactivity, but I do hope this site can be archived fully as it is an absolute trove of history and examples of animation, much more easily accessible than searching every little thing out one by one. Thank you for all the hard work you have put down here. Mind blown. THANKYOU SO MUCH. Thank you soooooooooo much for this awesome blog.